We’ve recently commemorated the centenary of the First World War, revealing through service records, photographs, objects and real life stories the Island lives caught up in the turbulence of war. Men and women across the Island served their country from 1914-1918. One such individual was Second Lieutenant Robert ‘Roy’ Corlett from Douglas. Manx National Heritage was able to tell Corlett’s story both online and in our major exhibition, this Terrible Ordeal, staged at the Manx Museum throughout 2014. For those of you who missed the exhibition we’ve published some of the top exhibits including a leather jerkin, worn by Second Lieutenant Corlett, so that stories such as his won’t be forgotten. 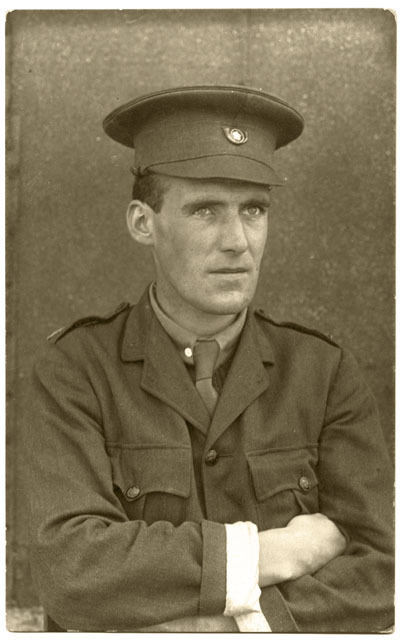 You can read all about Second Lieutenant Corlett on iMuseum. His name is also memorialised in the Manx landscape. Did you know that there are over 200 war memorials on the Isle of Man? They range from bookstands and altar rails to obelisks and stained glass windows. We’ve captured them here, commemorating the many Isle of Man individuals who sacrificed their lives during the First World War. Further information about the First World War is available in our home front and internment photographs from the National Photographic Archives; also in our catalogue of hand written notes kept by Canon Kermode, vicar of St George’s Church, Douglas, about his parishioners posted overseas. For keen researchers, see our Comprehensive Guide to First World War Library & Archive Collections at the Manx Museum.